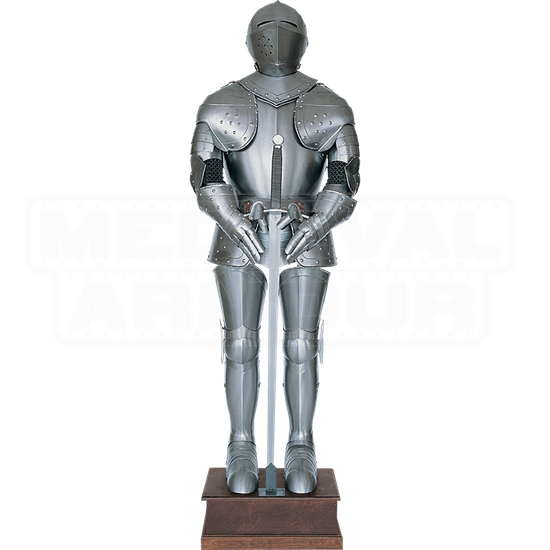 Embrace your knightly aspirations with the exquisitely appealing design of the Wearable Knights Full Suit of Armor. This set of armor handcrafted in Italy from steel in a replication of the style used by medieval Milanese armorers. These celebrated master craftsmen were well known for their smooth steel plated designs, which are exemplified in this suit. Helping pronounce its 16th century style is the remarkable men at arms helmet, which features two thin eye slits and an ornate wheel shaped breathing vent. A beautiful steel longsword and sturdy wooden pedestal are included with this armor, completing the knightly visage and providing a stand for its prominent display. 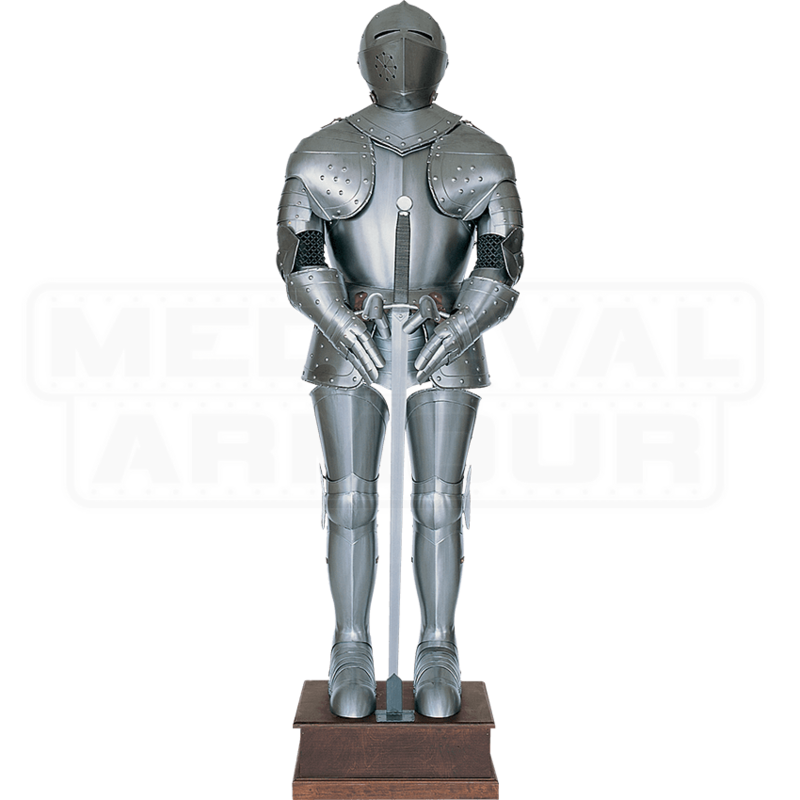 Whether you desire donning the attire of a Renaissance era knight or accenting your home with a look of European history, the Wearable Knights Full Suit of Armor is an exceptional means of achieving your goal.